For the 9 patch, please go scrappy. So the random 2.5" charms would be great here. For the middle and outer square, two different contrasting solid fabric. Raid your scrap bin. I would like modern fabrics. 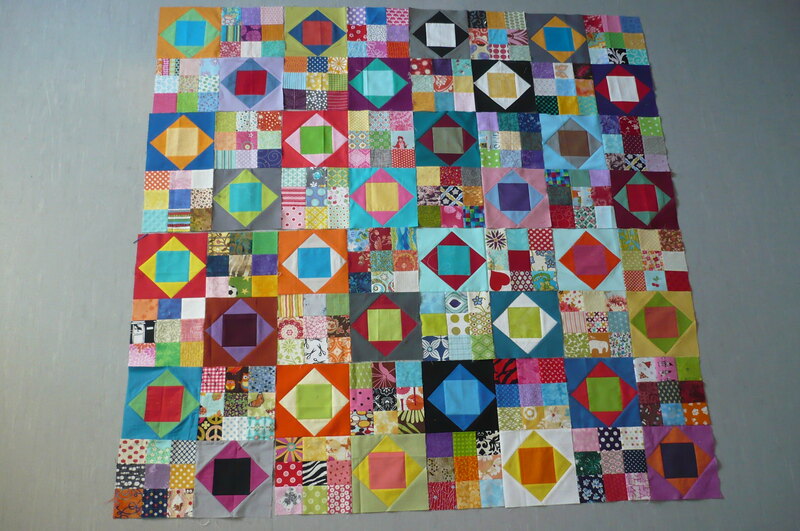 This is similar to the look I'm going for with the exception of a fussy cut center for the economy blocks.